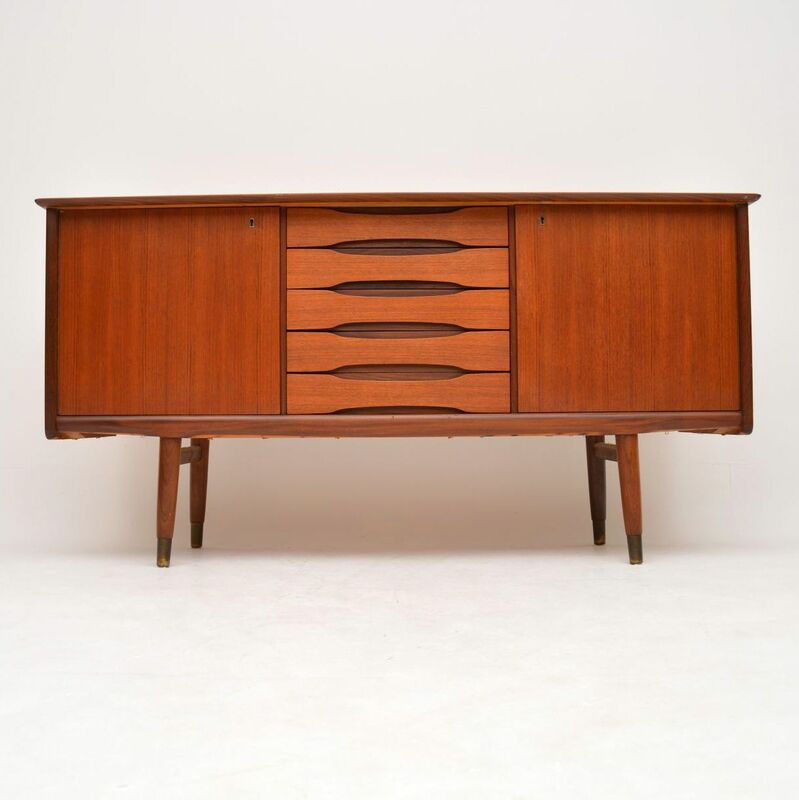 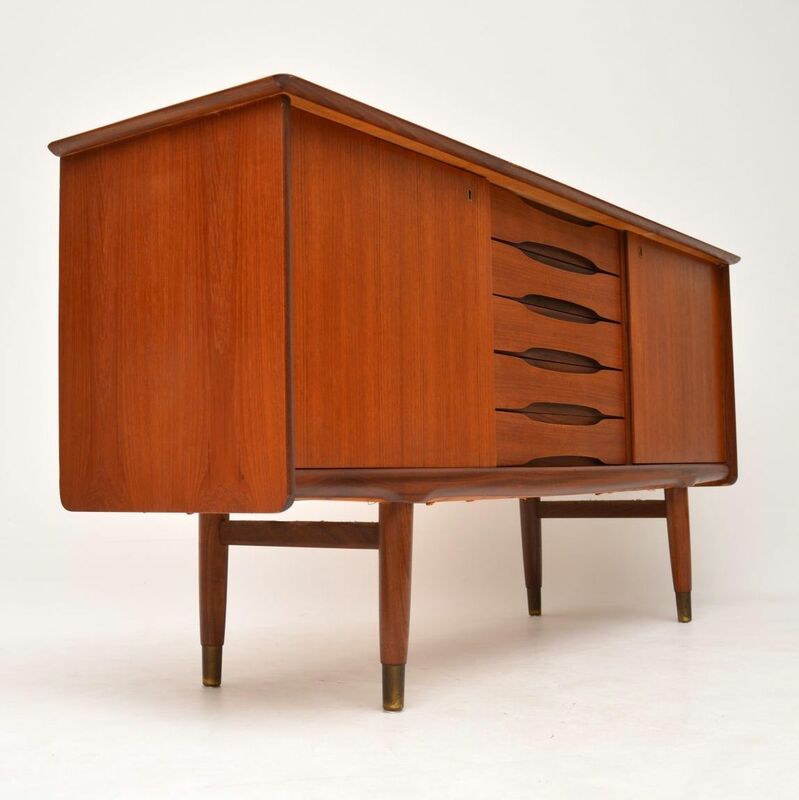 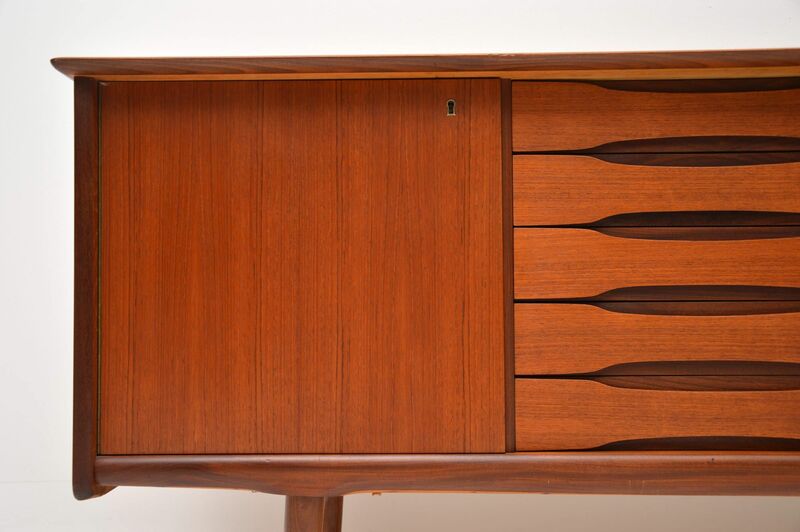 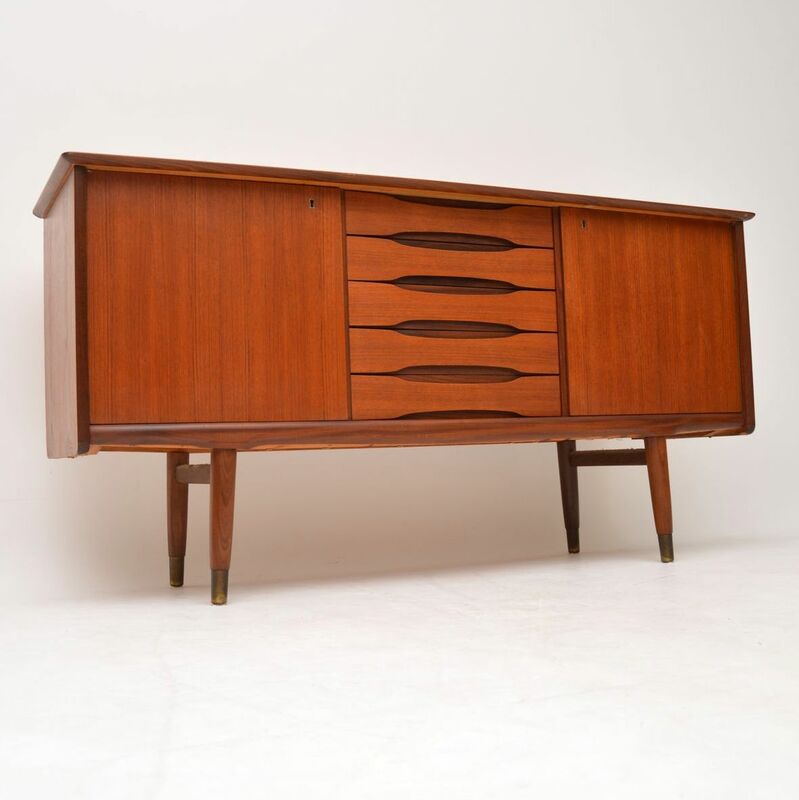 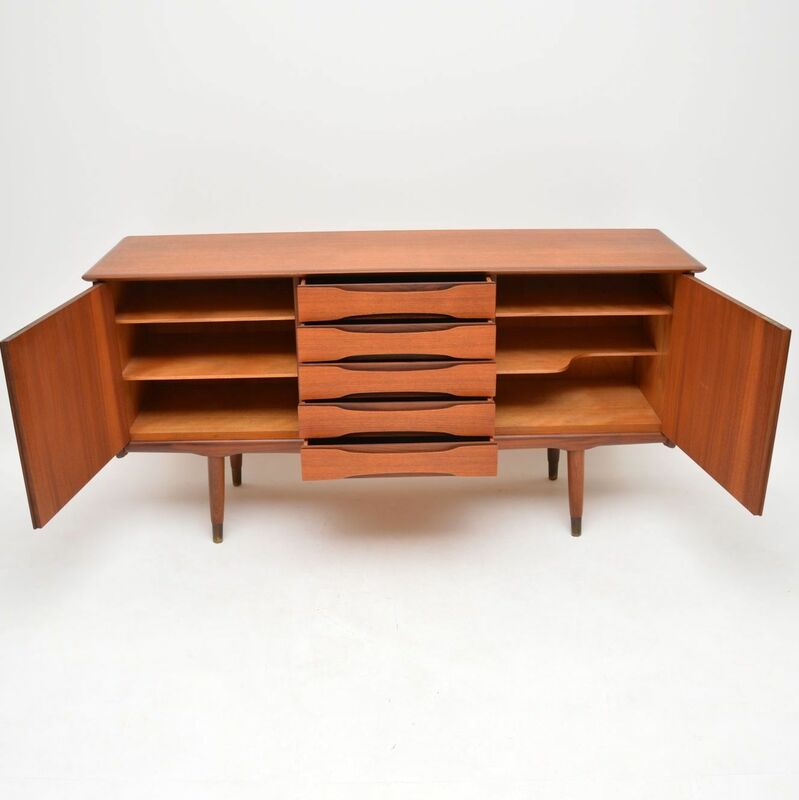 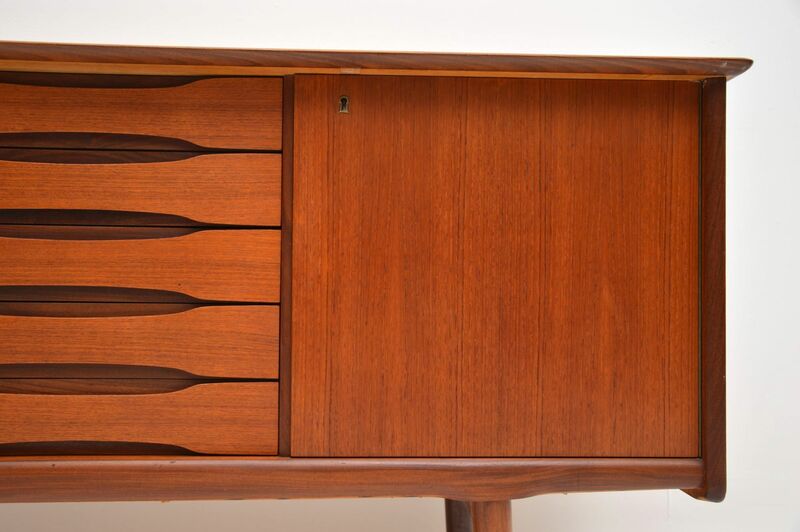 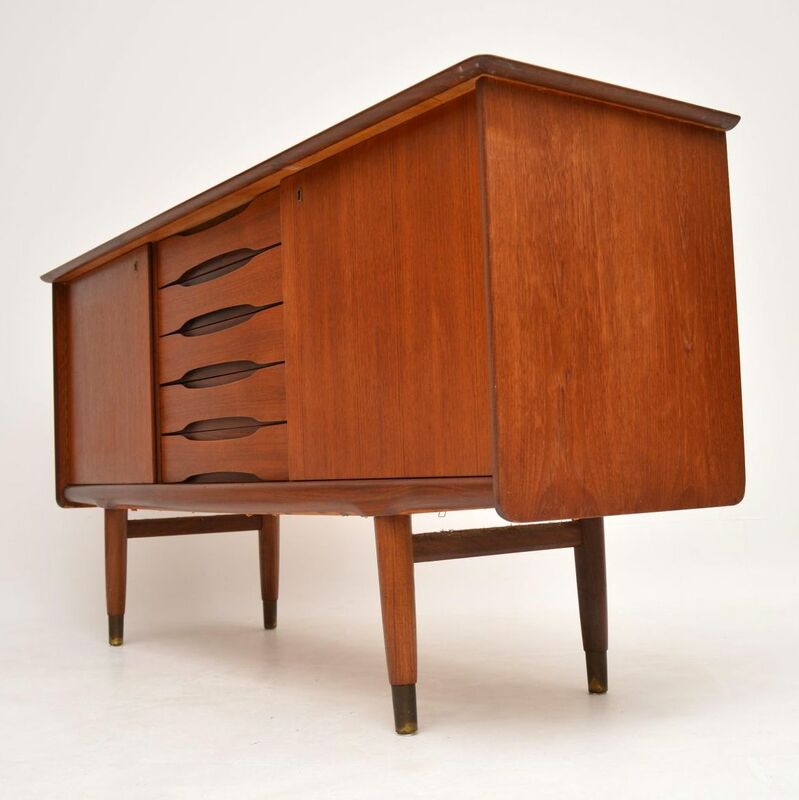 A stunning and rare vintage teak sideboard, this was made in Norway during the 1960’s by Gustav Bahus, it was designed by Fredrik Kayser. 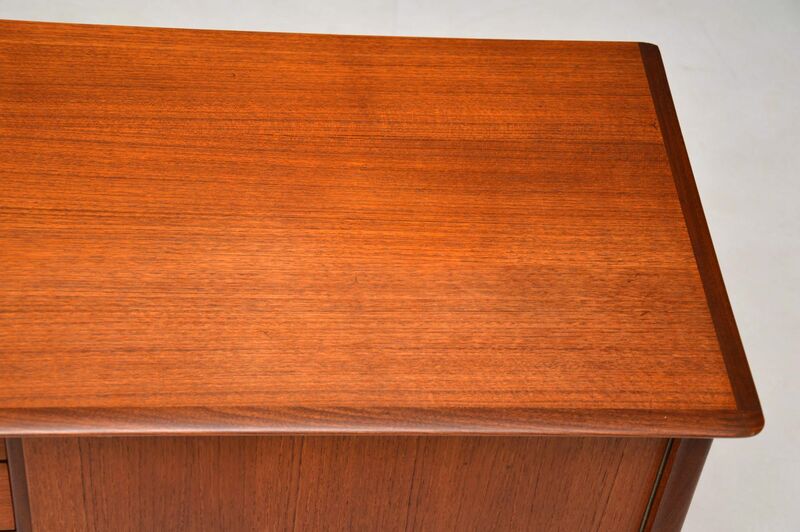 It has a beautiful design, is of amazing quality and is a very practical size. 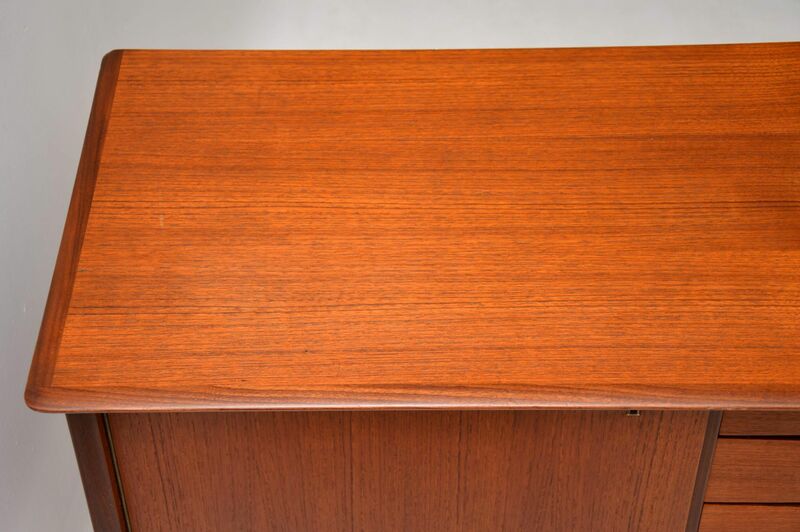 The condition is excellent for its age, with only some extremely minor wear here and there. 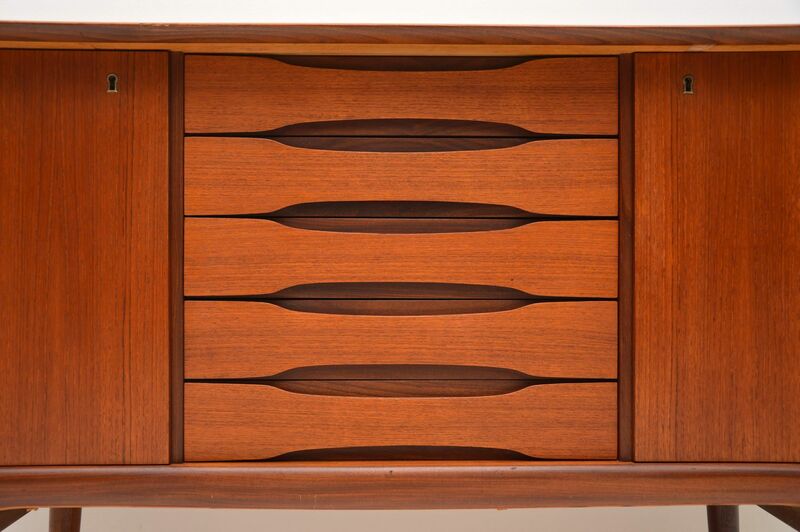 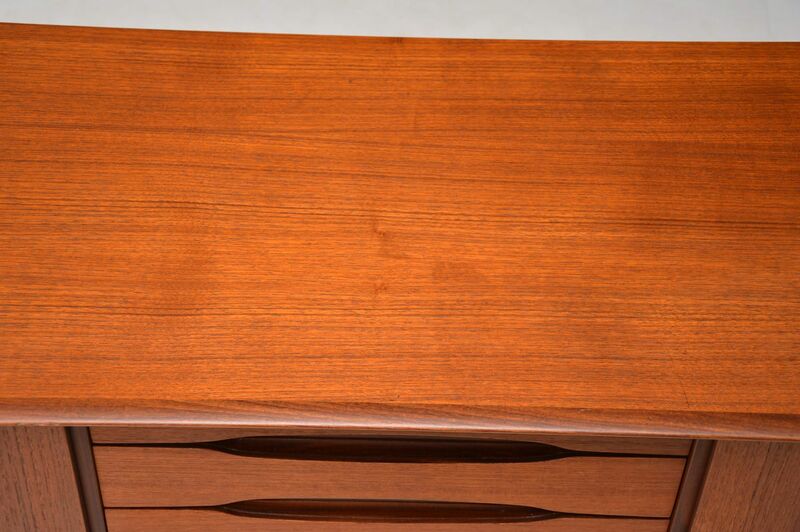 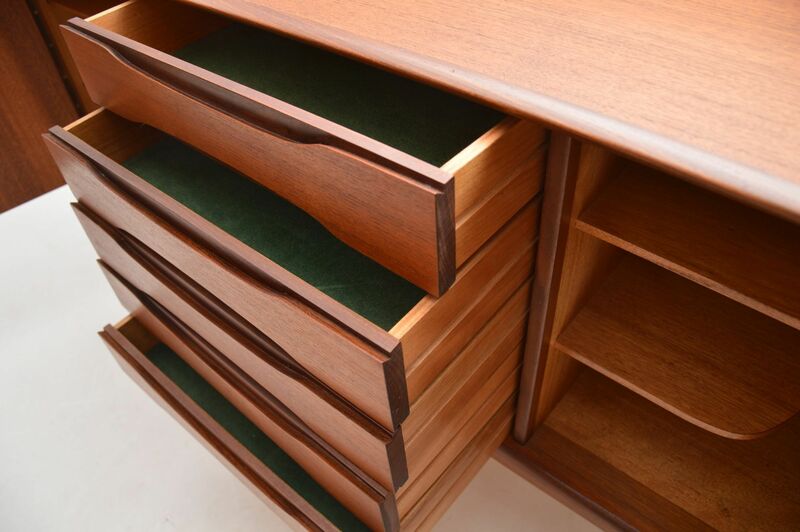 This comes with a locking key that works on both doors, all the central drawers are felt lined.